Modern Mountain Log Cabin ! Brighton Log Cabin results will be displayed first in resulting list - if available. 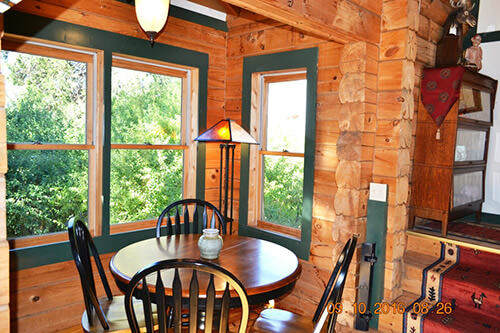 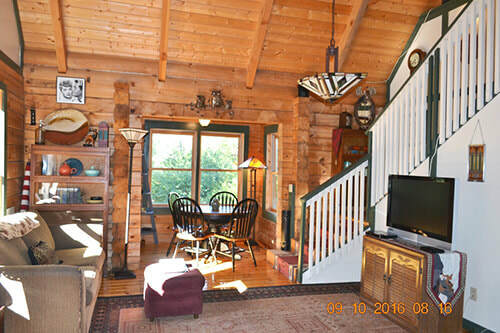 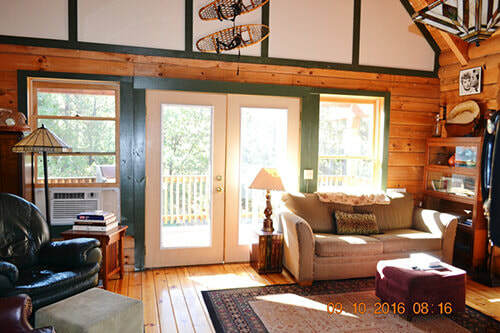 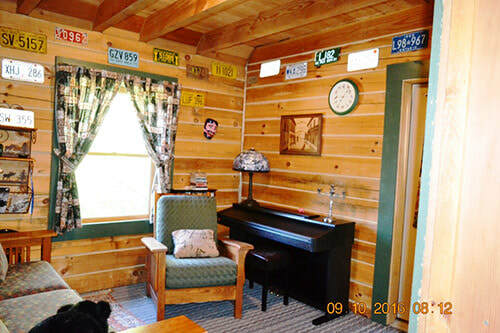 With recent upgrades, Brighton Log Cabin is as charming and cozy as it gets. Enjoying this gem is easy. A short four block walk to town, its situated off the road and with a great back deck for reading or just relaxing. 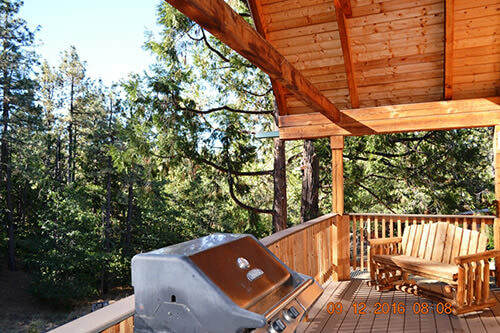 The deck has a gas BBQ for outdoor cooking in nature. Of course, propane is included. 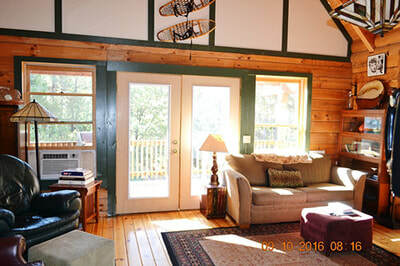 The Brighton has a spacious Great Room with cable and internet. 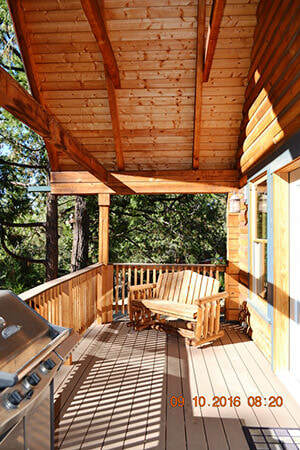 French doors open to deck for a great view of nature and tall trees. 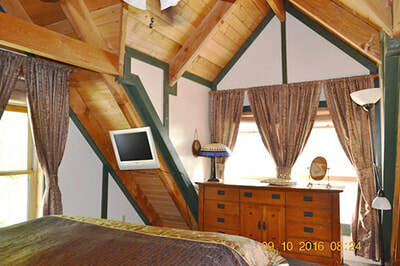 A Loft bedroom is open and bright. 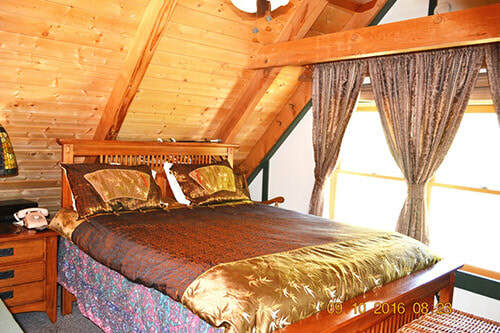 The owners have just purchased new gel mattress for a great night of sleep. The cabin sleeps 4, but is perfect for a couple celebrating a special event or just wanting to reconnect with one another. 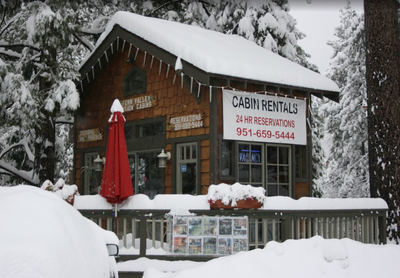 Don’t drive anywhere. 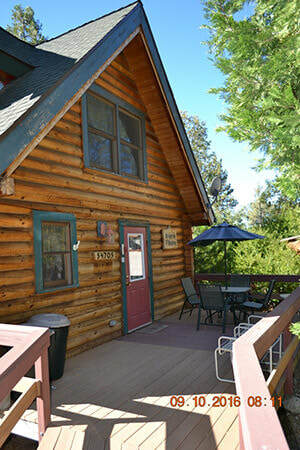 Just park your vehicle and walk to Café Aroma 5 minutes away. 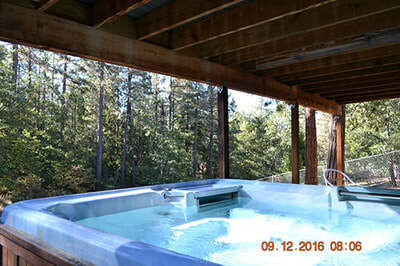 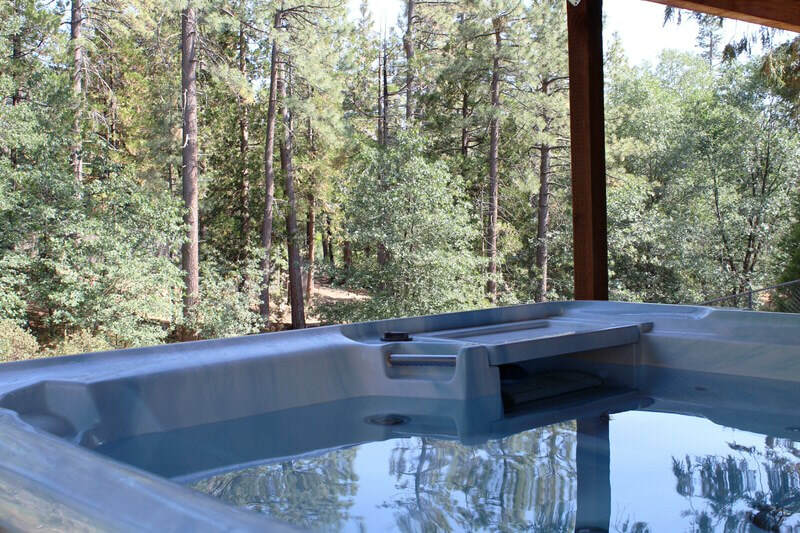 Enjoy the fabulous new hot tuband stargaze while soaking in a clean new spa. 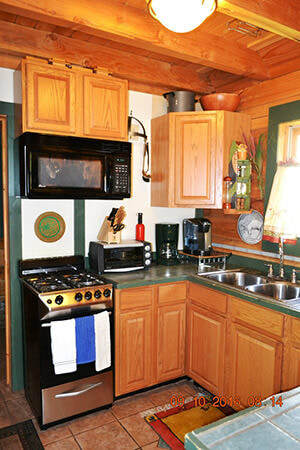 The kitchen is small but well supplied. 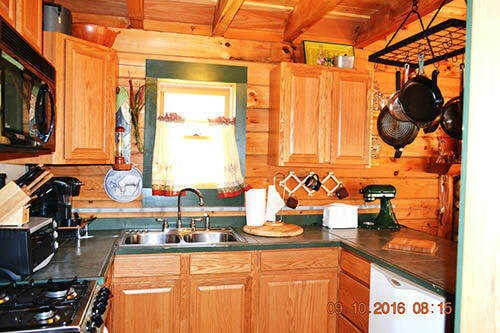 There are two small refrigerators, a four burner stove, coffee maker, blender, microwave and pots n pans for whipping up a nice dinner. 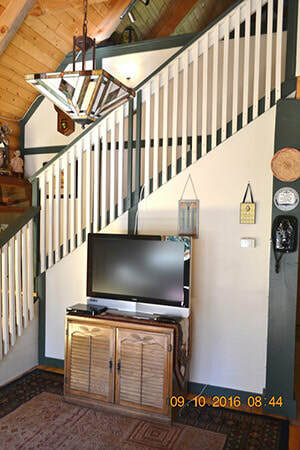 If you choose bring your pet, Brighton Log Cabin is pet friendly and had partially fenced yard. 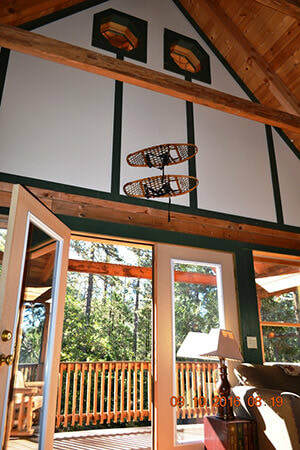 There is a window air conditioning unit for hot days that helps to keep the great room cool. 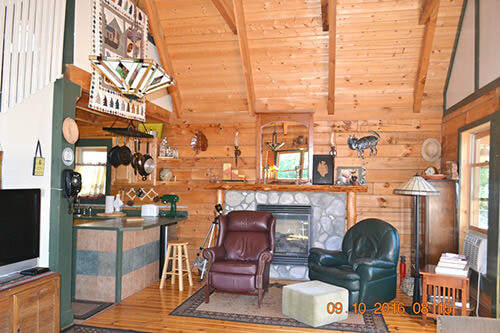 The gas fireplace is perfect for atmosphere. 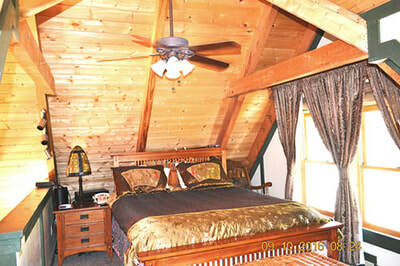 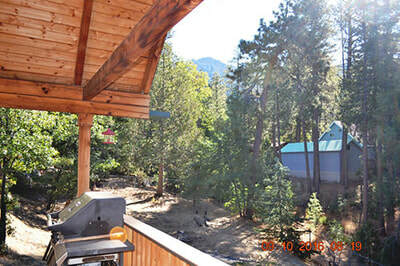 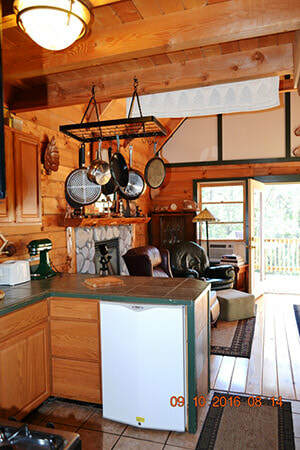 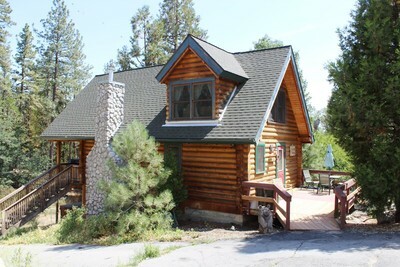 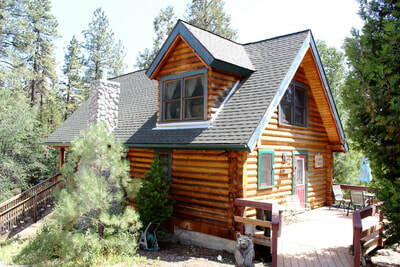 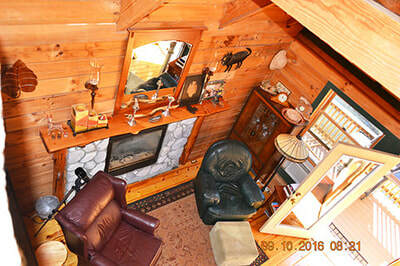 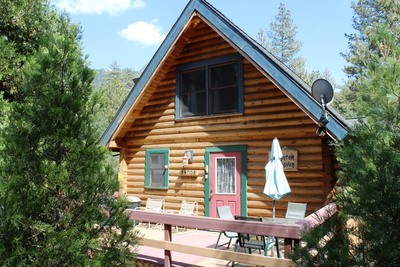 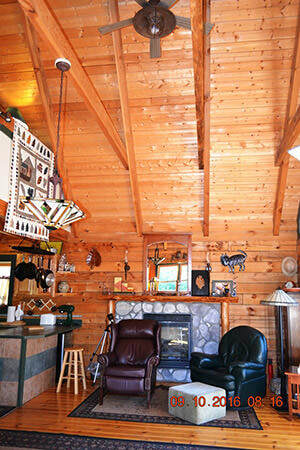 Visit our little log cabin and enjoy Idyllwild at its best.